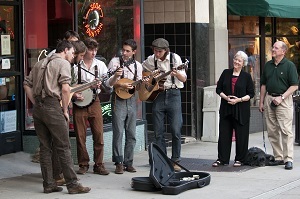 Mountain-ringed and progressively minded, Asheville, North Carolina calls itself "Land of the Sky" and is renowned for its creative spirit. The city of 90,000 is situated in the heart of the Blue Ridge Mountains and is one of America' s most vibrant destinations. With its beautiful mountain scenery, Asheville therefore provides an ideal backdrop for a Recovery of Biologics Products Conference focused on innovation and creative solutions. Asheville is known for a terrific arts scene and historic architecture, including the dome-topped Basilica of Saint Lawrence. The vast 19th-century Biltmore Estate displays artwork by masters like Renoir. The Downtown Art District is filled with galleries and museums, and in the nearby River Arts District, former factory buildings house over 200 artists' studios. Asheville has been doing Farm-to-Table since before it was a marketing point, and top-notch restaurants like Cúrate, Bouchon and the famous Tupelo Honey Cafe have turned it into a dining destination. Asheville also calls itself "Beer City USA". It has more breweries per capita than any other American city, drawing hop-heads from all over. While you' ll find beer tours, all you really need is a good pair of walking shoes as many of the best small breweries are within a few blocks of one another on the South Slope. 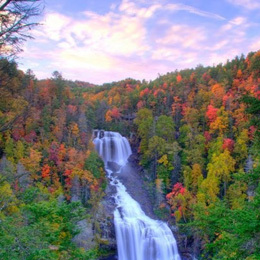 Western North Carolina is a hiker's paradise, with Mount Pisgah, Sam Knob and waterfalls all within an hour' s drive of Asheville. But you don' t have to leave the city to get your nature fix. The North Carolina Arboretum, roughly 10 miles southwest of downtown, packs lush seasonal gardens, actual babbling brooks and miles of trails into 434 acres.